Citi has just published Bank X: The New New Bank, which looks at the rise of challenger banks and the increasing digitalisation of money. The report includes perspectives, insights and case studies from industry leaders including a Q&A with 10x Founder and Executive Chairman Antony Jenkins. The report was published amid Citi's Digital Money Symposium. 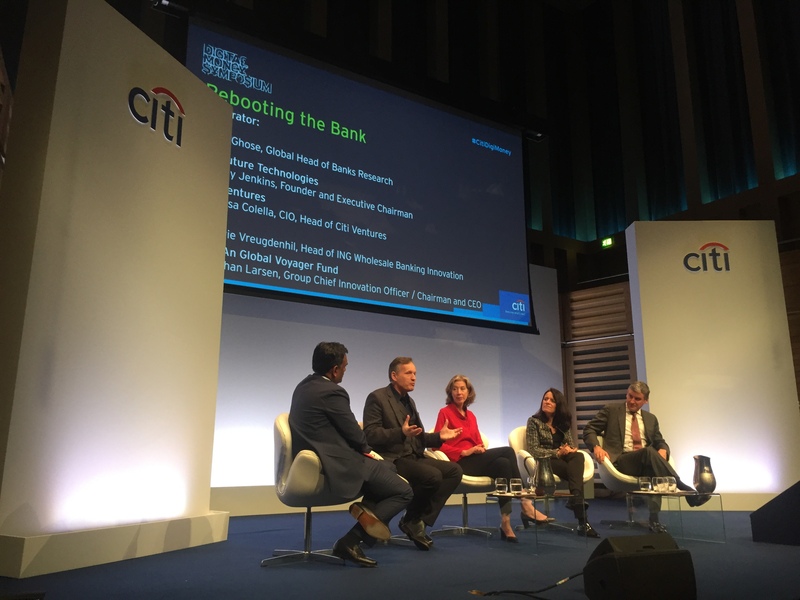 During the day, Antony was joined on a panel headlined: Rebooting the Bank by Vanessa Colella of Citi Ventures, ING's Annerie Vreugdenhil and Ping An's Jonathan Larsen. You can watch a video replay of that panel and of all the sessions of the day by clicking here. From the Bank X: The New New Bank report, here are some of the insights Antony shares with Ronit Ghose, global head of banks research at Citi. I have often described banks as being museums of technology. Throughout my banking career and beyond, I have wondered why banks don’t work better for their customers and why doesn’t technology create true transformation in financial services? So I wanted to create a new platform to deliver banking services in a way that's 10 times better than the traditional method of doing things — 10 times better for the bank, 10 times better for its customers, and crucially 10 times better for society — and for that we have built the world's first cloud-native platform to support banking. Q: Could we dig a little bit further into what is cloud-native? And then elaborate more on how the propositions built by 10X are different from those offered by existing and often large technology vendors? There is a big distinction between cloud and cloud-native. Cloud-native is using capabilities developed specifically for the cloud that give you faster ways to develop code, better ways to test it, and better ways to deploy it. This cloud-native technology is what we have used to solve the problem I described earlier. At 10X, we’ve built something called the 'SuperCore', which is an architecture that is totally agnostic to product and allows a customer’s data to appear only once on our system, so that you don’t get the duplication or fragmentation, I described before. Q: Would it be correct to say that with '10X SuperCore' you are fundamentally looking at replacing the existing tech stack at banks? Yes, pretty much. However, we recognise that for any bank to embark on a technology replacement program, it is regarded as being very risky, expensive, and time-consuming. As a result, banks have traditionally stayed away from replacing large parts of their legacy estate. By using the new technology at disposal, it is possible to massively de-risk the time, cost, and complexity of transformation projects. What we offer to our clients is the ability to take the 10X platform, build a use-case upon it and that use-case might be an individual customer segment, an individual geographic market, or an individual product line built on the 10X platform. Once that use-case is operative the client can deploy our technology across other parts of their business and ultimately across the entire enterprise. On the contrary, our technology is highly flexible. We use micro services. These are small pieces of software code performing unique functions. For example: charging a fee, changing an address, charging an interest rate etc. Because we can assemble those micro services highly flexibly, it significantly reduces the time it takes to build new products on the new platform. You can access and download the full Citi report by clicking here.